Our well equipped fitting section is able to offer all aspects of product assembly including mechanical, pneumatic and hydraulic. We continually invest time and money in our team’s equipment and expertise. 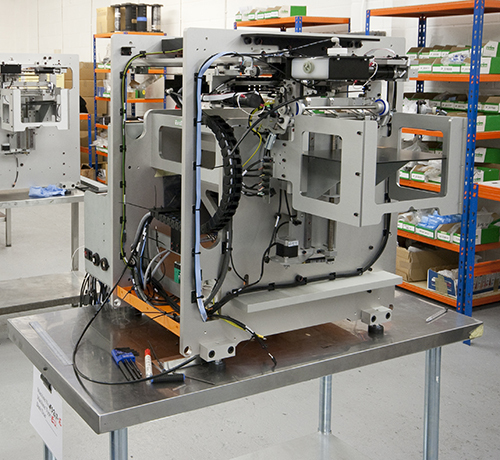 This ensures all aspects of our assembly and fitting output is focused on accuracy, efficiency and reliably hitting deadlines on demand. Our work ethos and customer focus allows us to provide high quality product output and extremely competitive costs. It is always a pleasure to work with Sumac Engineering. There have been many occasions where they have suggested alternatives to our thinking which have proved extremely efficient and highly profitable. Whenever we visit, it is fascinating to see the work in process and we always leave knowing our work will be completed and delivered on time under Sumac’s complete control.